Crème brûlée recipes come in all flavors, from the vanilla the purists swear by, to an infinite number of infusions and mix-in ingredients. Every one of these flavored crème brûlée recipes is delicious in its own way. If you're just beginning to experiment with crème brûlée variations, start with the vanilla recipe at the bottom of the list, and then work your way up to bolder and more novel combinations. Enjoy! Bright lemon zest and smooth, rich cream are a match made in culinary heaven in this lemon crème brûlée recipe. The subtle, perfumed hint of citrus adds a luscious dimension of flavor to an already delectable dessert. Find the freshest strawberries or raspberries at your market for a beautiful edible garnish. Coffee and its culinary partner, cream, meld together smoothly in this café au lait crème brûlée recipe. 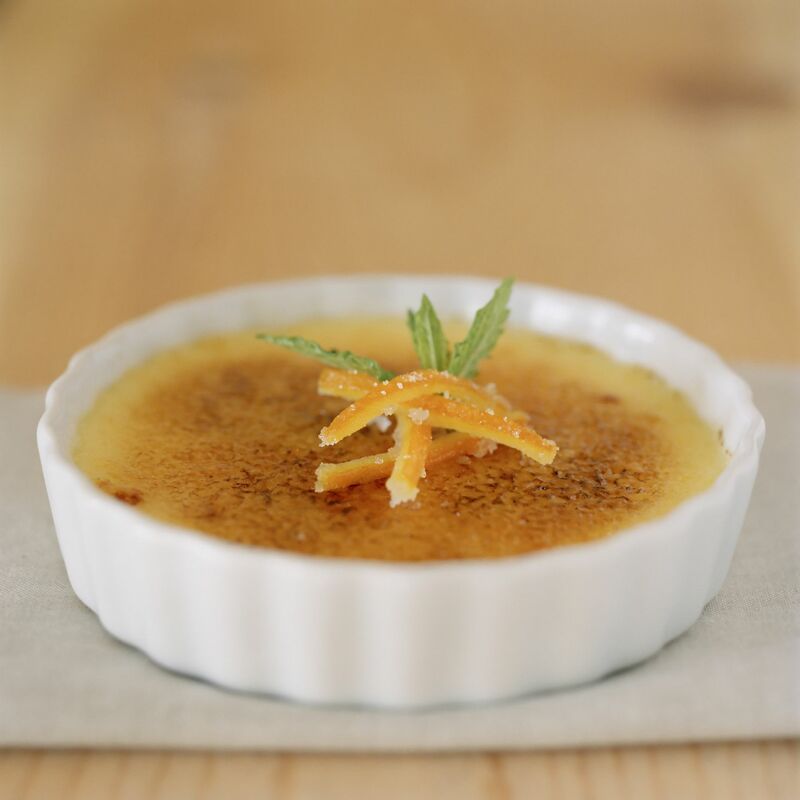 Not overly sweet, the classic after-dinner flavor pairing makes this crème brûlée a deliciously mellow dessert offering. Clean flavored lavender and a hint of vanilla give this lavender crème brûlée recipe its signature flavor. The perfume of the flowers is what really gives this special dessert the feel of Provence. Try it with a bunch of lavender from your garden, or your local farmer's market. Make sure to buy only lavender intended for culinary uses. The combination of hard caramelized sugar atop velvety-smooth, chilled custard is the undeniable draw to this traditional crème brûlée recipe. It is a wonderful make-ahead dessert for dinner parties, and guests will love cracking the brittle sugar tops with their spoons. This crème brûlée recipe is for purists, as it contains only a touch of vanilla and no novelty flavorings.